Many people don't realize that Omaha Public Library (OPL) offers books—and so much more—at its 12 locationsopens a new window across Omaha! 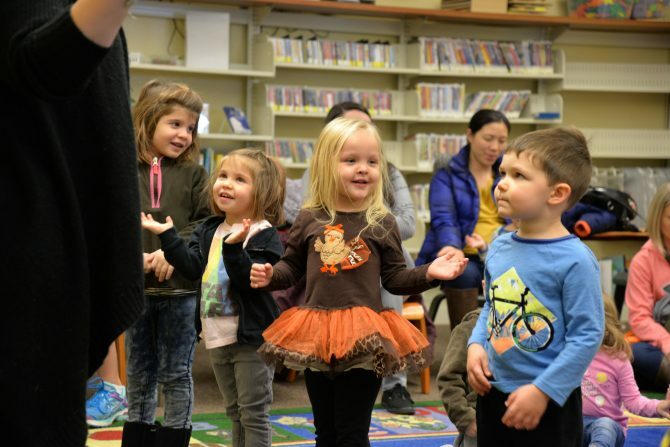 This Thanksgiving, learn about some of the things that all Douglas County residents can be thankful for at OPL! People — While the Internet now answers some of the questions people once brought to their local librarian, Omaha Public Library staff are one of the best resources available to find the right answers for patrons. Staff keep OPL running smoothly, manage its extensive collectionopens a new window, share reading recommendationsopens a new window, curate book listsopens a new window on almost any topic imaginable, and even create custom book listsopens a new window for patrons by request. Patrons may also ask OPL librarians questions onlineopens a new window when trying to recall a book title, answer a question about local history, or any other topic of interest! Books, movies, music & more — The materials a library has—also know as its collection—are the bread and butter of any library, and OPL has both physical and digital collections available for patrons to enjoy. The digital collectionopens a new window has over 26,000 eBooksopens a new window and 9,600 eAudiobooksopens a new window that patrons can check out and download to their devices from anywhere with an Internet connection. OPL's physical collection, which is distributed across all 12 locations, includes just under 638,000 booksopens a new window, DVDs and BluRay discsopens a new window, audiobooksopens a new window, music CDsopens a new window, book club bags and toysopens a new window. If there's something you'd like to check out that isn't available at OPL, any OPL patron can log in to their account and suggest a purchase,opens a new window or request it from a library that does have that item through interlibrary loan. 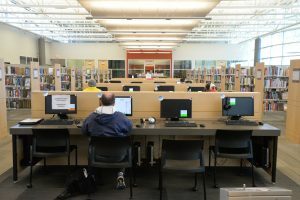 Facilities — OPL's 12 locations across Omaha each have public work areas, computers and free wifiopens a new window. Most locations also have meeting roomsopens a new window available for the public to reserve online to use when they aren't booked for library events. The facilities offer a place for anyone who may need an escape from the cold, a quiet spot to study or work, or a place for their children to play and learn. For many people, the library is a home away from home. And so much more! Browse all of OPL's online resources hereopens a new window. 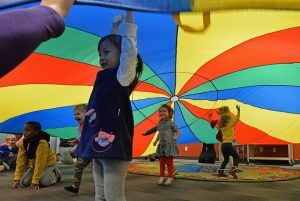 Entertainment — Each OPL location hosts educational and fun programsopens a new window weekly, in addition to system-wide events like the annual Summer Reading Programopens a new window and Omaha Readsopens a new window. Each branch has printable monthly calendarsopens a new window that list their events, so you can stay in-the-know with what is happening at the location nearest you! Patrons can also check out moviesopens a new window, download four free songs each week from Freegal Musicopens a new window, or check out passes to local attractions like Omaha's Henry Doorly Zoo and Aquariumopens a new window, Fontenelle Forestopens a new window or the Omaha Children's Museumopens a new window, throughout the year, while supplies last. It's all FREE! — OPL is publicly and privately funded and demands no additional cost to Douglas County residents, ensuring access to everyone in the communities that OPL serves. If you don't have a library card already, learn about getting oneopens a new window today to begin utilizing all that OPL has to offer!